There are days where the world feels like it is crushing me. I feel extremely exhausted and I just want to give up. Sometimes tears form in my eyes because of all the pressure and burden in my life. I constantly look for ways to relieve this stress in my life. Some people recommend drugs. Some recommend alcohol. Some recommend music. I know none of these things have a resolution for my problems, instead, they’ll just cause more problems. Gaining a form of addiction, a high, an escape that leads to more sadness and becomes unforgiving and relentless. It destroys your life in every possible way, so I avoid every type of haram (forbidden) Allah has commanded. There is salah and it’s something irreplaceable. It relieves this tension and lets everything you feel on your shoulders, pushing you down into sujood (prostration) to your creator. Alhamdulilah, it could never be replaced. It’ll always be number one. Some people will eat their misery away, indulging in their favourite foods. Ice cream, cakes, cookies but me….. I cloud my thoughts with only one thing. I await the journey everyday, as I lace up my sneakers, thinking of what to do today once I enter the arena. This arena is not for everyone. People come and people go. This for those who have heart. Who are disciplined. Who are able to be consistent and push their limits. They look at themselves in the mirror and constantly want to improve. Some have “new years resolutions” that become unresolved, while others don’t have a resolution and just embed it into their lifestyle. It helps them breathe. Break the chains of the mind. Give them one more chance to improve themselves. It builds character and an unforgettable experience that only those that can bare the patience of it all. There is no end result because it becomes a part of you. Everyday, you enter the arena, you strive to improve. You sculpt and build a masterpiece that only your genetics allow. As I enter this arena, everything in my life becomes forgotten. It becomes an after thought. It is as though, nothing exists anymore. My mind becomes set on what I’m about to engage in. I block everything and everyone out. It’s just myself and this iron. Sometimes you’ll conquer it and sometimes it’ll conquer you. It can be unforgiving at times, making you doubt yourself but you want to prove yourself and prove to it, you’re the boss. The gym, these weights, this iron, is my anchor. It is my drug. These weights, make me stronger but more so, allow me to escape from the harsh realities of this world. It allows me to free myself of the negative people and the thoughts that could bury me. It allows me to let go of these tears and anger built up from the burdens in my life. The anger is no longer suppressed. I free myself. Just as I free myself from the shaytaan 5 times a day praying salah, I free myself from negativity by lifting my pain away. It is my anchor, my drug. My pain reliever. I turn it to it several times a week, almost everyday. I come out pumped full of blood, goto sleep and wake up in pain. My body hates it but I love it. It’s a love and hate relationship but the love is more. They say, Im wasting my time but I say, I wouldn’t waste my time anywhere else. I love these weights and people don’t understand how much it means to me but I keep going. I’ll never stop building myself. Breaking free in a halal (permissible) way. No drugs. Just weights, sweat, pain and fibres ripping and stretching. This is where I come to escape. 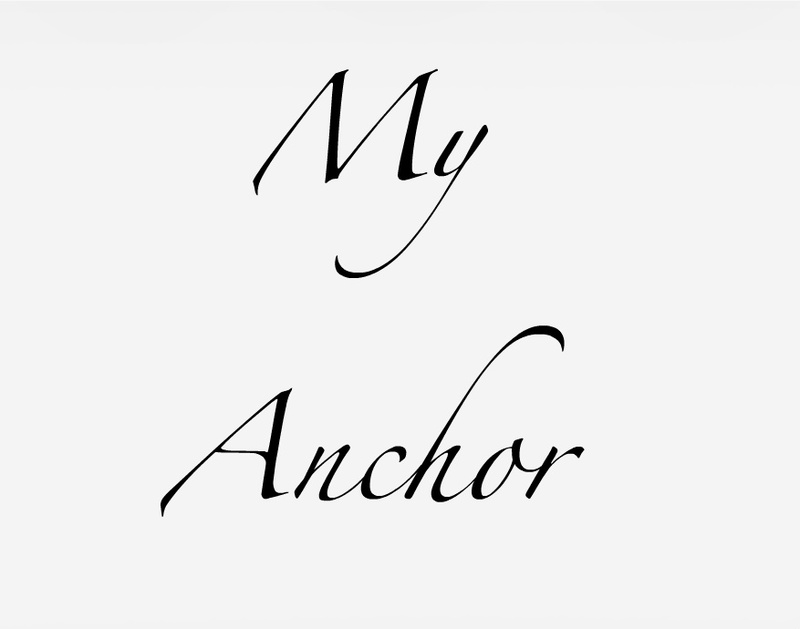 This is my anchor. Whenever you make du’aa (supplication), do not say “if” such and such happens. “if” such and such is given, please let it happen Allah. Do you ever study for a test or exam and think through out the entire test, if you pass? Some may but if you’ve dedicated hours of studying, you go into the test or exam full of confidence, full of positive thoughts. Just as you prepare for that exam and beam of confidence, knowing you’ll do well, when you make du’aa have confidence and be positive that Allah will answer your du’aas with success. When you do feel like you’ve done well enough at work. You feel like you’ve excelled in your position and you feel you deserve a raise, you don’t doubt you’ll get that raise. You don’t doubt you’ll be compensated for your work but you feel confident enough knowing you’ll get it. You feel confident asking your boss because of your abilities and the skills have proven themselves. Allah is Al-Alim, All-Knowing , All-Hearing, Al-Bashir and capable of anything in this world. When you make duaa, you are engaging in a conversation with the creator of the heavens and the earth. The one who controls everything in front of you. The one who is able to relieve your hardships and ease the burdens in your life. Don’t ask with “IF” and don’t ask with doubt but ask with confidence, positivity and ask knowing they’ll be answered to benefit your life. 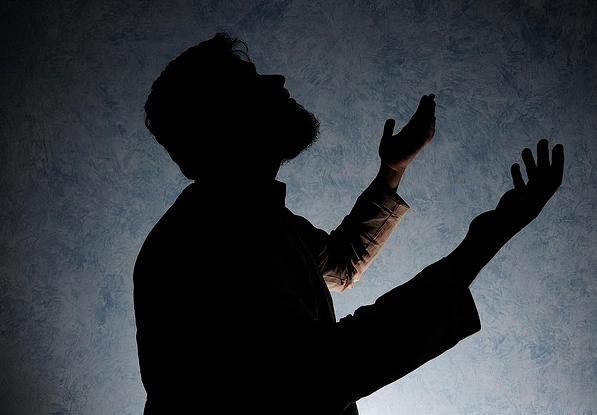 I know it takes long and sometimes, a lot of times you feel like your du’aa isn’t being answered but, you are doing an act of worship and turning to Allah that will change the condition of your life. One du’aa, will change the course of your life. Don’t ever stop asking and the next time you make du’aa, don’t say if. Ask with confidence. Have a clear mind and leave everything to Allah. It’ll happen when it’s meant to happen and know that every time you go and make du’aa, you are doing an act of worship and getting rewarded for it. You either are being turned away from something, which your du’aa has been answered or you are being led towards something and your du’aa has been answered. Allah is the best of planners. It’s been a while since I’ve updated my blog. Have I been busy? Yes, I have but that is no excuse to not post content on my blog regularly. People alhamdulilah (thanks to Allah) have benefited from my blog through out these years it has been here. Sometimes, I do want to write but, I have nothing to offer so I don’t want to force myself. Last year, 2015, was a really crazy year. A lot of things happened, things in my life changed, I set goals for myself and accomplished many of them. 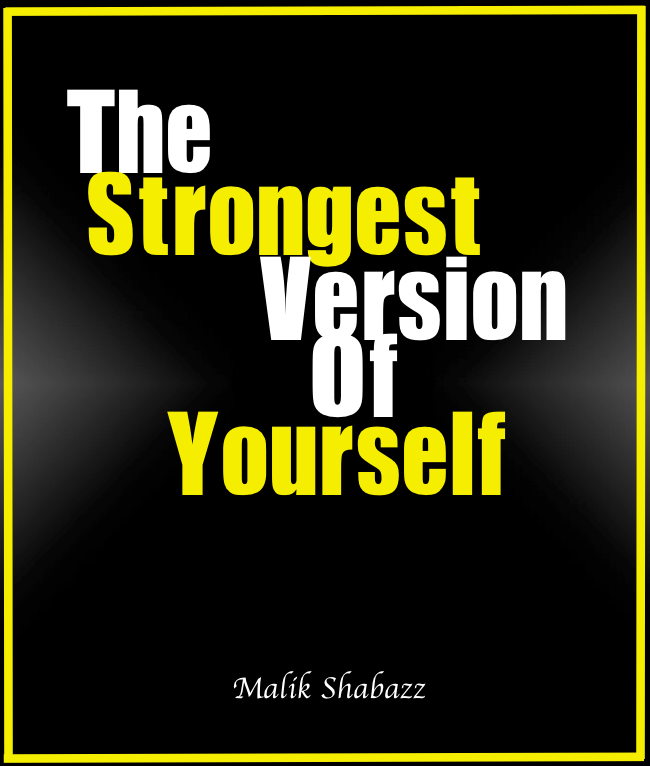 One of them was my book “The Strongest Version Of Yourself.” It was downloaded alhamdulilah, over 175 times by people around the world. Reviews came in and it was unbelievable how Allah allowed me to write these words to help people change their lives and benefit from them. Did the book exceed my expectations in terms of people reading it? I think it did. I’m just a regular individual. Not a professor, a english major, psychologist, just a regular person who wants to change the world through words. I continuously strive to do that everyday. No matter who it is, whether it is my nephews, cousins, new person at the gym, I want to be able to inspire them, motivate them to change their lives for the better. 2015, was a year where Allah did test me a lot and as of right now, 2016, Allah is still testing me. Imagine being tested for over a year or more, try 3 years, how many of you would have given up? I know many people who would blame Allah for all the problems in their life. They wouldn’t think back to the sins they’ve committed through out the years and perhaps those sins, the ones you thought were minor and you thought to yourself that Allah is forgiving, which He is, and you ended up doing it anyway, then Allah punishes you or tests you, in order to remove your sins, in order for you to turn back to Him. What is beautiful about being tested and turning back to Allah in trials and tribulations, you are doing what every single Prophet of Allah has done. You are being tested, just as Allah tested Musa (peace be upon him) with Pharaoh. Just as the Prophet Muhammad (peace be upon him) was tested with the people of Quraysh. It’s hard to fathom sometimes that Allah has chosen you out of all the people within your family or friends to try you with such trials, in order to remove your sins and elevate your status. When we are being tested by Allah, we don’t think of the positive outcome. We always ask ourselves, why me? What have I done to deserve this? Instead, we need to think, Allah is removing the sins I’ve committed and elevating my status as a Muslim. When Allah does ever test you, don’t think it’s because Allah doesn’t love you. Allah loved the Prophets so much, he tested them with things we could never imagine. Sometimes, tests are not only hardships. Don’t be mistaken because your life is easy, Allah is not testing you. What about Pharaoh? Didn’t Allah give him so much wealth, control and yet, he never turned to the creator of the heavens and the earth? Didn’t he rule over his people and bragged about everything was from him? Then, when he was drowning and he knew death was coming, he turned to Allah in those moments and it was too late. Now, Allah has preserved his body as a sign for the believers and non-believers, to remind us to turn to Allah and that His signs are true. We have people in this world, who ask for so much in the times of hardship, when it is received, they turn away from the one they turned to, then the blessings they’ve received turns a test for them. Don’t be the one who turns to Allah in uneasiness and when it is removed, you turn away but constantly turn to Him and give thanks. Life is about walking through fire, through obstacles and still coming out on top with your head high and who knows when these tests will ever end but know, in these times, Allah is sculpting a person that is being prepared for a better future. For a better hereafter. Not everything you want in this life will be given but the rewards in the hereafter, are something the eyes have never seen. This doesn’t mean you quit, you give up and stop being able to progress but you keep striving for a better life. One day, it wont be about yourself anymore. You’ll have a family, a wife, husband, kids and you’ll need to provide for them. Not only financially but with your mind. With your character, personality, your knowledge which you have attained by the grace of Allah. Always look to achieve your goals. Write them down and look at them often. See where you are in life and see what you are doing to attain them. It’s not going to be easy and some goals wont be accomplished, not because of your hard work and persistence but because Allah is the best of planners and whatever is good for you will happen, even if you think its good for yourself. Don’t put a negative thought in your mind. Keep going for it. You might be 60 one day and that goal you wanted to accomplish finally does. Look at the lives of some successful people like Stan Lee, Henry Ford and Chris Gardner. These individuals were well into their 40’s and continued to try everyday to bring their dreams into reality. Your time will eventually come. You just always need to be the hardest worker in the room. Many times, people wont see the hard work you are putting in but every fruit eventually unearths and reveals itself to the world. You will eventually have that opportunity and that only depends on your drive and determination to change yourself. Always be determined and look forward to a promising future ahead. You never know what may come if you give up now. Your goals, dreams and accomplishments are waiting to be completed. Eventually, it’ll take place but for now, work hard, make duaa, pray your salah, wake up for tahajjud and even after you achieve what you set out to do, rinse and repeat to be successful in the hereafter too. Life isn’t only about now but it is also about being prepared to meet Allah.